Support our USF GA Union! See more events on our Calendar Page! 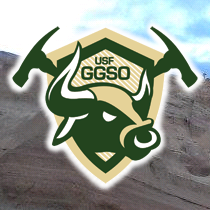 Are you an incoming or returning graduate student in Geology at USF? Soon, you'll get an e-mail inviting you to our department orientation on Tuesday, August 20th! At noon, the GGSO will host our Fall Welcome Luncheon, so come hungry! New students will be introduced to our organization and returning grad students will give a few tips on having a successful first semester. After lunch, we will likely have a GGSO business meeting where we determine the time and dates of future Fall Semester meetings. Hope to see you there! If you are a student, staff, faculty or just thirsty, you can start your week off with free coffee, tea, and baked goods! 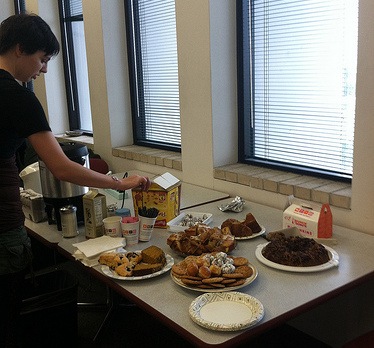 Every Monday starting again in the Fall Semester, the GGSO hosts a Geology Department Coffee Hour in the fifth floor break room of the Science Center (SCA512) from 9:30-10:30. We often brew coffee that students and faculty bring back from their field sites, such as Mexico and Costa Rica! Thirsty? 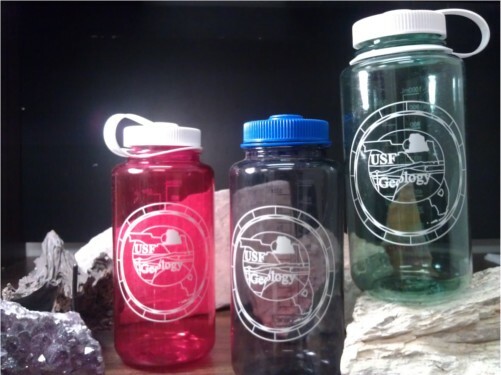 Come to a GGSO event and get your customized GGSO Nalgene for $12!